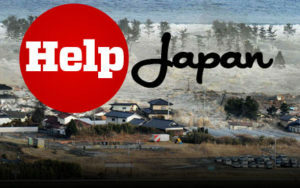 You can donate some of your Swagbucks earnings to help with the earthquake relief for Japan – something needed even more since a second quake has caused more devastation. Swagbucks will be collecting donations through Monday, April 11 at 12 p.m. PDT. It’s easy to donate and doesn’t cost you more than a few clicks. And right now when you sign up for Swagbucks before Monday, April 11, you can enter the code HelpJapan and get an extra 50 Swagbucks added to your account.